Anand Rao put together this fun JibJab mashup as an added bonus for the lunch festivities. The main event was Faculty Academy’s first annual Deck Wars —which was a blast and has officially crowned its first annual champion: Jeff McClurken, video forthcoming . This entry was posted in fa08, faculty academy, prologue and tagged fa08, faculty academy, jibjab, umwfa08. Bookmark the permalink. Oh My God! 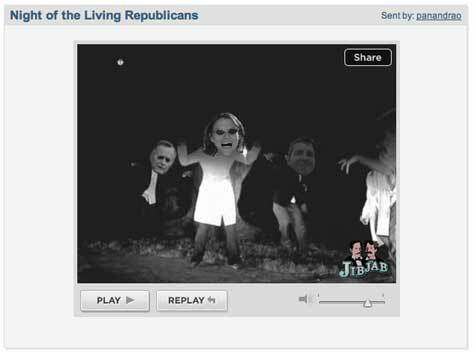 I’m a burning Republican!! !